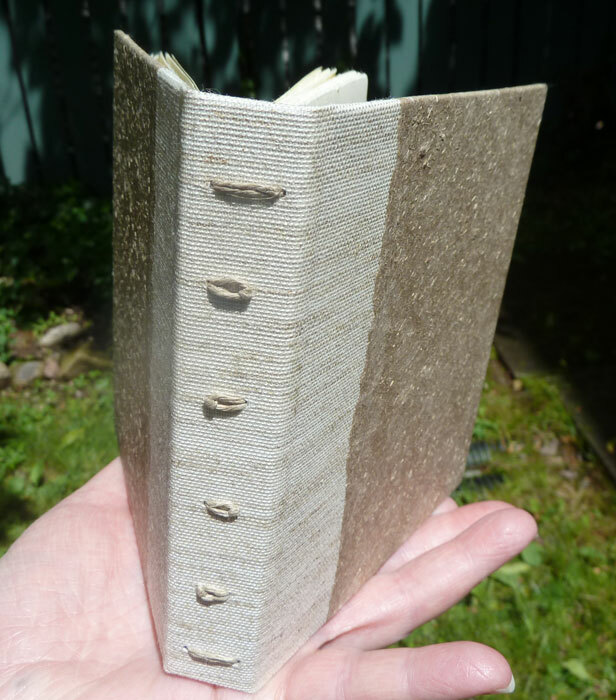 A 2-section binding today, stitched through a case. The cover of this book features some handmade paper from my paper making class last month at PBI, with Steve Miller. It's a flax paper that we made, starting with long fibres that we chopped by hand and then it was cooked and beaten. We did two batches of flax, actually, one was cooked and one was raw and I have to admit that I can't tell them apart now!